Are you excited for the holiday seasons? Well, I am! 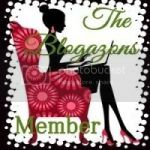 The Beauty Blogazons is hosting a giveaway where five winners can win one of the $100 VISA Gift Card! If you are in need for some extra cash for the holidays then you should definitely join this awesome giveaway! Giveaway is open INTERNATIONALLY! So everyone can enter! This giveaway will end on December 21, 2012! Just enter through the Rafflecopter below! Check out all the participating blogs that made this giveaway possible! Review: Bath & Body Works Fine Fragrance Mist "Sweet Pea"
DeyiMizu 2012©. Simple theme. Theme images by merrymoonmary. Powered by Blogger.